Just wanted to very quickly send some messages from myself and the mods to all of you this festive season. I want to wish you a very jolly holiday period, and I hope for you all to have a wonderful and safe new year. Thanks for everything in 2018. We've sure had our ups and downs, but we have soldiered on. I want to wish a wonderful holiday season to each and every one of you! I hope you all have had nothing but love and happiness. You all make this community so special. Let’s move into 2019 keeping our home a place to come and share the games we love, have a laugh, and make new friends! 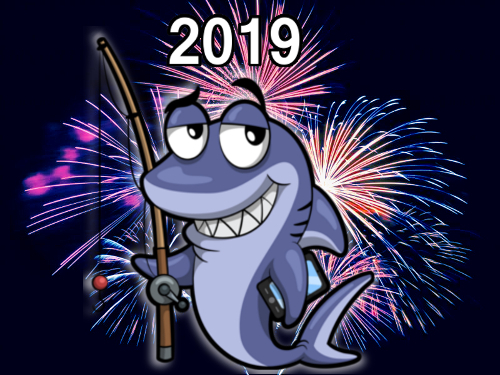 I wish you all nothing but the best for 2019! The Dragon is a mighty flying unit that can attack both ground and air targets. A huge thank you for making the community better. Is the personal message you all deserve. Now seen as I can’t remember how to send that as a mass group email, I’ll just post here. Guy and girls , again huge thanks for sticking with us throughout an eventful year. The forum community is amazing and still continues to grow and we Moderators appreciate your input and insights. Over the coming season however you celebrate, I wish you all the best. From our families to yours: best wishes for the New Year! May your dark elixir ever run over and may you always have a magic book on hand when you need one. I hope everyone who reads the forum - members and non-members alike - is enjoying a wonderful festive season, and that all their hopes and wishes have been fulfilled. My very best wishes to everyone for 2019. Let's hope it's a good year for us all. Happy farming, and clash on!